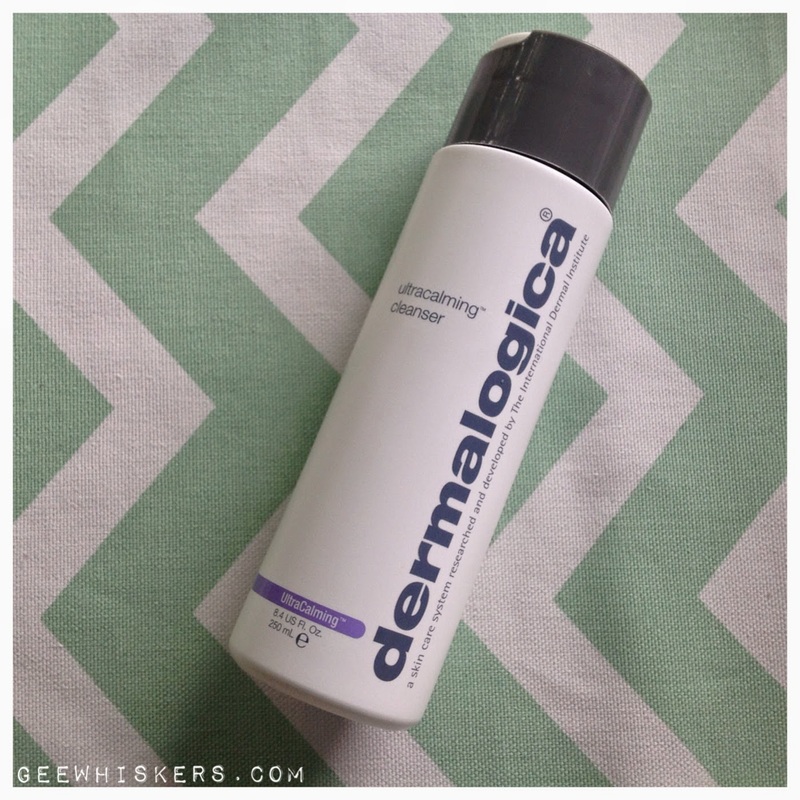 Dermalogica Ultracalming Cleanser / Gee Whiskers! I have so many new products and products I have had for ages that I just haven't gotten around to reviewing yet. I feel as though I am drowning under reviews that need to be written. With me being so busy with work it has been tough to find time (and energy) to write reviews but I am trying to get through them and hope to have more consistent reviews up. 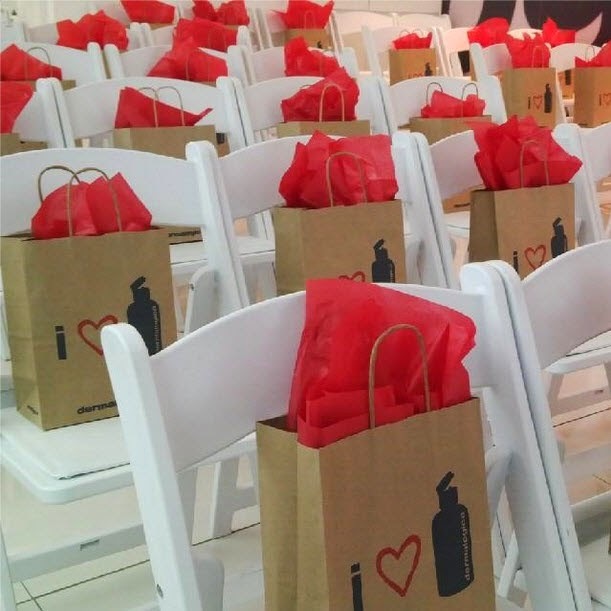 A few weeks ago I attended a Dermalogica event and we received two products. One of these was a Ultracalming Cleanser. Those of you who read my blog regularly know how I am when it comes to my skincare. I love spending time pampering my skin and making sure I give my skin what it needs. Dermalogica is one of the skin care brand I am sure most women wish they could have a full range of in their bathrooms. So I was absolutely thrilled to start using this cleanser. The cleanser is a gel/cream that does not foam. This took a bit of getting used to for me because mentally I always need to see foam in order to feel that my skin is clean. This cleanser cleans skin beautifully and because it is pH balanced it helps to calm and cool redness associated with sensitive or reactive skin - this range is specifically formulated to treat reactive, sensitised or overprocessed skin. It contains no artificial fragrances or colourants. More than that though it can be used by anyone who is exposed to harsh climates, irritation and pollution. I have sensitive skin that is incredibly dehydrated, I have really loved using this cleanser and my skin has definitely felt less dry and tight. I am definitely considering purchasing myself a bottle after I finish this one. PS. A big thank you to Dermalogica for this wonderful cleanser. It definitely has benefited my skin. Follow Dermalogica on Facebook, Twitter and Instagram. 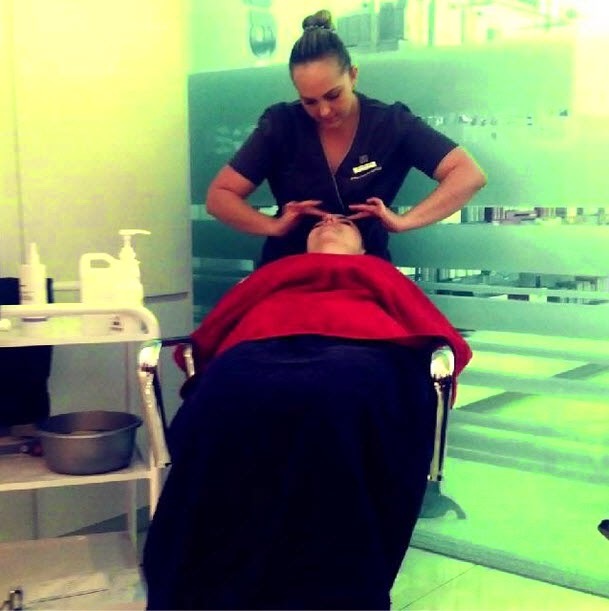 Here are some photos from the Dermalogica Biosurface Peel event I attended. It was a morning packed full of information and a demonstration of the peel. I was really impressed with the fact that the lady had absolutely no redness on your skin after the treatment and how radiant her face looked. I actually secretly wished I was in the demo chair, but as with everyone else I will need to wait until September to try this salon treatment out for myself. It is important to note though that not everyone will be a viable candidate for this treatment. A therapist will first assess the condition of your skin beforehand to make sure that your skin is suitable for the treatment. Because they apply acids to your skin, if the layers of your skin are too thin the acids will penetrate too deeply which is not the intention of Dermalogica's peel. So don't feel offended if you are turned down for the peel - you can always have another one of their wonderful treatments. 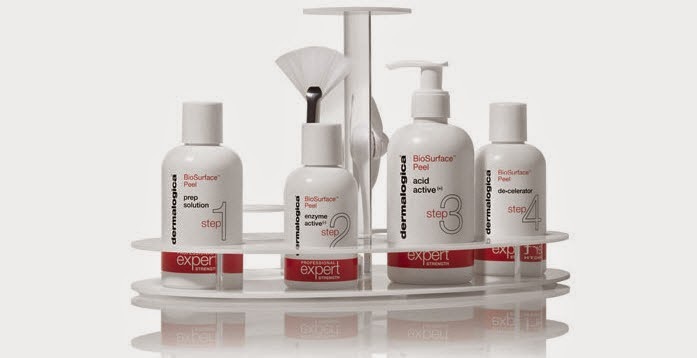 Professional skin care therapists now have a new level of service to offer clients in the form of BioSurface™ Peel, Dermalogica’s first-ever chemical peel, exclusively formulated for use in skin care centres and spas around the world. This revolutionary four-step exfoliant system is the first range of products to be introduced within Professional Expert Strength, a new line of professional products only available to licensed skin care therapists. BioSurface™ Peel addresses a diverse array of conditions that include reducing skin roughness and the appearance of fine lines as well as helping to treat hyperpigmentation, pseudofolliculitis (razor bumps), and acneic inflammation. This new procedure offers the many benefits of traditional chemical peels, but with little to no post-peel redness or downtime—a huge advantage for consumers. The application process for BioSurfaceTM Peel consists of an initial Prep Step followed by layers of Enzyme and Acid Active peel solutions, which are neutralised in the fourth and final neutraliser step. Because of the intensity of the powerful active ingredients, special training and certification are required to use BioSurfaceTM Peel.